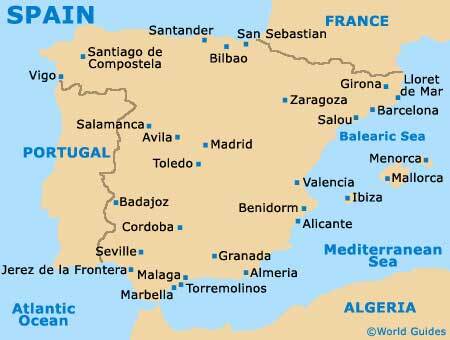 Located within the autonomous community of Andalucia and also the Seville province, the city of Seville is capital of both. The city has grown up around the Rio Guadalquivir (Guadalquivir River), with many places of interest concentrated along the eastern riverbanks. The heart of Seville is something of a maze of historic streets and plazas, contrasting with both the Avenida de la Constitucion and the Plaza Nueva. Particularly appealing is the extremely characterful Barrio Santa Cruz (Jewish Quarter), which is close to the Alcazar fortress and also the cathedral. However, this part of the city has started to become a little 'touristy'. Head slightly northwards to find the true core of the city - El Centro. 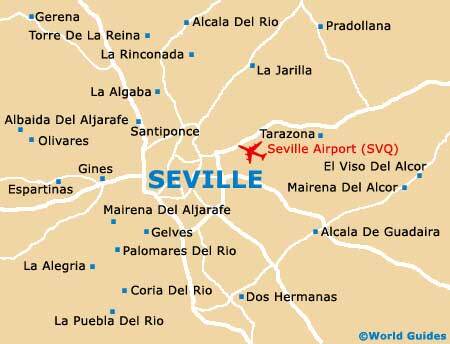 This part of Seville is based around both the Plaza Salvador and the Plaza de San Francisco. Tourists may also like to explore the El Arenal district, which is sandwiched between the Guadalquivir River and the Avenida de la Constitucion. For public transport in Seville, look to the outskirts of the city centre, where both the bus and railway stations live. Should you need maps of the city, then visit one of the resident tourist offices, such as the Infhor outlet at the Estacion Santa Justa train station, the Municipal tourist office on the Calle de Arjona, and the Turismo Sevilla office on the Plaza del Triunfo.